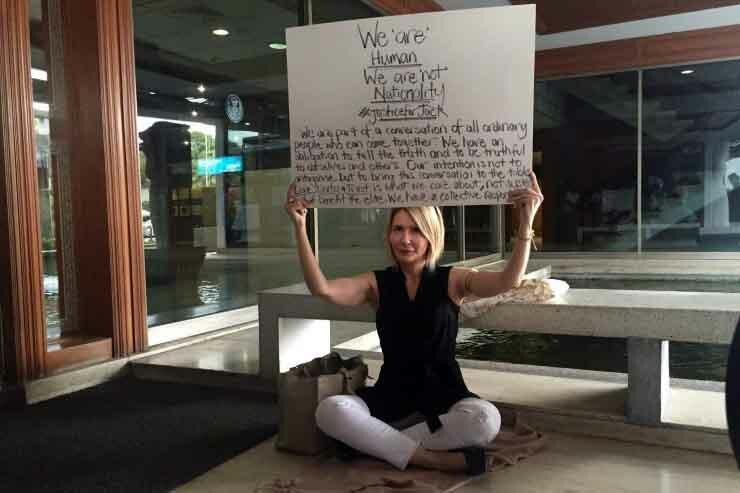 An Aussie mother stages a sit in at the Thai Parliament to complain about rampant corruption in Thailand. The victim is her son Jack Hansen-Bartel a former studentsof the New International School in Thailand (NIST) who was savagely beaten in a police controlled party bar in Koh Samui. The two accused are Chinese Americans Raymond Chang and Ryan Wang both former pupils of the Shanghai American School. As a result of the attack, in which a heavy object is thought to have been used, Jack had to have millions of baht in surgery and corrective surgery to his face. The prosecution of the two young Americans seemed to be going ahead – and then after the father of Raymond Nobu Chang, the millionaire father of Chang(jnr) flew in the world reversed on Jack – a scholarship pupil, who had been looked after by his divorced mum for 15 years in Thailand. Police on Koh Samui now wanted to charge Jack with common assault (for which the fine is under US$100). They even flew a policeman to Bangkok to interview and charge him. Cost a minimum of US$300 – and the Samui police do not have the cash and would never waste it on a normal case. Even the National Council for Peace and Order expressed concerned and they witnessed the occasion – but did nothing. Neither did the police, prosecutor, Interpol, the Australian Embassy, the Thai National Human Rights Commission (stripped of its powers) or if they did it was not enough. So Annie Hansen went it alone relying heavily on donations. It is a tribute to her tenacity that the case got this far. Her adversary Raymond Nobu Chang made much of his cash out of Microsoft, attended the John F Kennedy School at Harvard, and has pulled out all plugs. Unknown to her even her lawyer (the last of many) agreed that Raymong Chang and Ryan Wang did not need to turn up for their trial for serious offences – while Jack has to fly from Monash University in Melbourne, where he is studying, to attend his trial for a misdemeanor, which of course he is contesting. The defendants claim they went to the assistance of a damsel in distress – Tiffany Turner – a former student at he International School of the Sacred Heart in Tokyo. Hansen-Bartel was harassing her, they claimed. CCTV coverage of five hours at the club shows at the night in question in June 2014 the opposite. In desperation it seems Raymond Chang’s father has now got the courts to turn the spotlight away from his son and is now blaming Ryan Wang for the attack. There goes a school friendship. Annie’s sit in in Parliament attracted a lot of attention in the Thai language press – but none in the English language newspapers in Bangkok who like to protect the country’s image abroad. It’s another step forward in her battle. She has won the moral and ethical war. Unfortunately in the Thai justice system morals and ethics are low on the pecking order. The case of Jack Hansen-Bartel was first raised on Andrew-Drummond.Com and has been widely followed by the Australian media. Among numerous other cases the site also first highlighted the case of the Vard family – robbed of seven houses by a crime syndicate involving lawyers, a bank, money lenders and police. That case was also taken up by the media in Ireland and Thailand and continues to be monitored. And then there is the case of Vanida Boongeon whose Pakistani husband was murdered in Chaiyaphum and police hid the file and did not even send the results of the DNA tests of the killer’s blood to the public prosecutor. (update soon). And the case of Chris X who was blatantly falsely accused of child sexual abuse in Pattaya – by a system that financially profited from arrests. He now is suing in the US. Our campaign also brought Police Sergeant Uthai Dechachiwat to account for the murder of Leo del Pinto in Pai, Northern Thailand. And we have seen fake lawyers Scot Brian Goudie and American Drew Noyes jailed for three years for defrauding a 78-year-old woman and 2 years for extortion. And we have sent Noyes on the run because the Thai system allowed him bail after his conviction. We have been blocked in Thailand by the government which does not use the courts and we are always under attack – currently from boiler room operators – so your support is always needed even it its only moral. 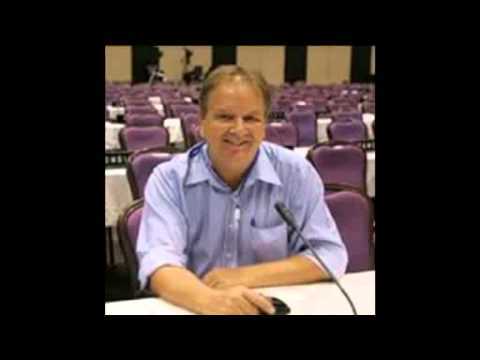 June 20, 2015 Andrew Comments Off on IS THIS THE WORST COURT IN THAILAND?